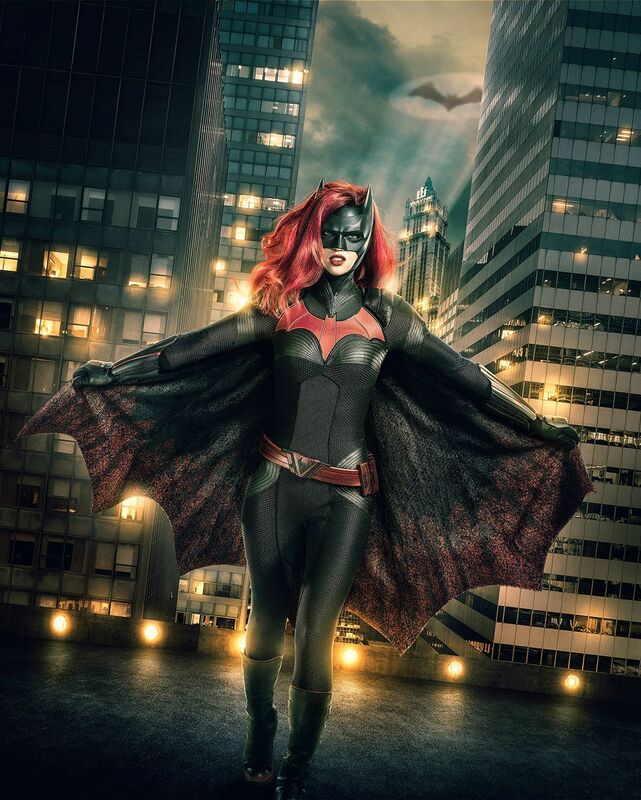 The CW has released the first official look at Ruby Rose in her role as Kate Kane/Batwoman. The character will debut during December's "Elseworlds" crossover between Arrow, The Flash, and Supergirl. "Elseworlds" will see Green Arrow, The Flash, and Supergirl heading to Gotham City and teaming up with Batwoman after some good, old-fashioned mad science at Arkham Asylum captures the attention of heroes from throughout the multiverse. DC's Legends of Tomorrow will sit this crossover event out, but if you want to imagine there is a fourth show involved, console yourself in knowing that a Batwoman pilot starring Rose is in development. The "Elseworlds" crossover begins production today, so it is likely The CW wanted to get the image out ahead of set spies who routinely try to get inside dirt on new characters and major plot developments on the various superhero shows filmed in and around Vancouver. The Batwoman costume was designed by four-time Academy Award winner Colleen Atwood, who is no stranger to superheroes. Before designing Batwoman, she worked on costumes for Arrow, The Flash, Supergirl, and both versions (2001 and 2017) of The Tick. In the comics, Kate Kane is a Jewish, lesbian army brat who has a complicated relationship with her (sometimes evil) father and an almost-as-complicated relationship with Batman. The character of Batwoman first came into being in the Silver Age, but the current iteration was introduced during the 2006 event series 52. Rose, best known for roles in movies like The Meg and John Wick: Chapter Two, has been vocal about how pleased she is to play a superhero. Lois Lane, played by Elizabeth Tulloch, will also be making her Arrowverse debut while Tyler Hoechlin will reprise his role as Superman for all three nights of the event. The Arrowverse crossover, "Elseworlds", will take place across three nights, kicking off on Sunday, December 9th on The Flash at 8 p.m. ET. It continues on Arrow Monday, December 10th at 8 p.m. and then finishes up on Supergirl Tuesday, December 11th at 8 p.m. ET.